Want More Results From Your Company YouTube Channel? Most marketers and business leaders know the value of YouTube. As the world's second largest search engine, it'd be a huge mistake to pass up on the platform and include it in video marketing efforts. However, as the platform changes and new functions are added regularly, it's easy for businesses to fall behind. 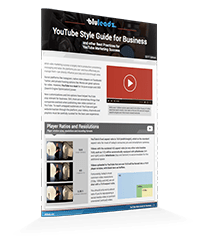 If your business's YouTube channel has been stagnant or loosely managed, this guide is for you. It's surprisingly easy to clean up your YouTube channel and drive new visitors to your website in a natural, predictable path–you just have to know where to look and what steps to take.